A well-built roof will protect your home and family for many years, however, even the best roofs need a little bit of care and attention now and then. Whether the roof is showing signs of age, or, maybe it’s been subject to the ‘fabulous’ British weather – whatever the reason, our FREE Roof Survey will provide you with the information to ensure you make an informed decision as to the next steps to take. Our time served roofers have seen it all, and will provide you with photographic evidence of any issues that they identify along with a price that is affordable. Not all roof damage is the same. As such, not all roof repairs are the same either. Storm damage for example, can have different people requiring different types of roof repairs depending on the specific type of damage caused. As an experienced roofing company, Taylor Roofs have seen the varying demands of roof repairs as a result of storm damage. You may have lost a few tiles, or maybe looking at a roof completely ripped apart. Whatever the issue we have experienced roofers who are well versed in every kind of storm damage repair. Our expansive expertise and experience guarantees that you will have your roof repaired and back to as good as it was before the storm, or better. We work often with insurance companies and claims, providing expert knowledge to assist you when the roof damage and subsequent repair is covered by your insurance. When surveying the roof damage, we will attend your property to assess the damage and give you our recommendations as to the required roofing repairs, as well as an affordable fixed quote price. 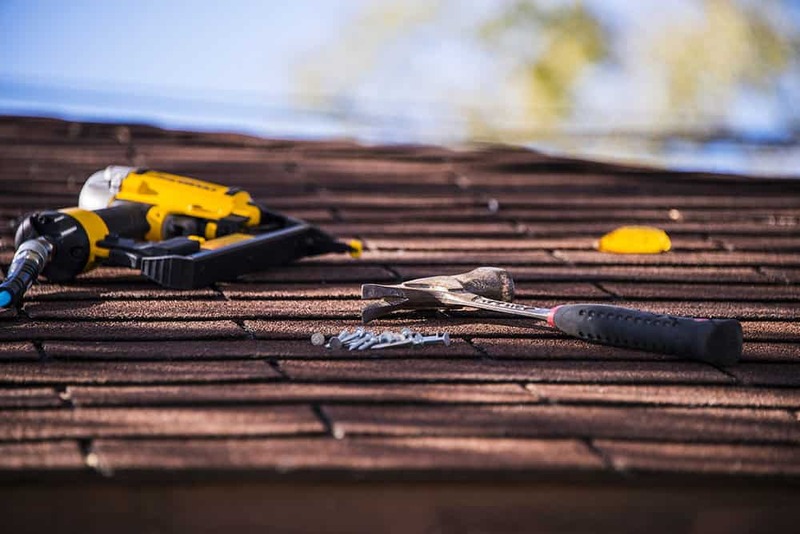 Should you decide that Taylor Roofs are to do the repairs, we initially conduct a thorough analysis of the storm damage before any works are undertaken on your roof. We then walk you through the process of the works to be completed, ensuring that you are 100% comfortable with the way we intend to restore your roof, advising you of any scaffolding that may be required and how we intend to assemble it with due care and attention to any neighbours. Dampness and condensation, in the loft or attic space, is becoming an increasingly frustrating problem for many modern home owners. This can be the result of a variety of issues with the building or roof, but more often than not is easily remedied. In our modern search for more energy efficient homes, we often find that insulation to roofs, attic floors and cavity walls have been applied without due consideration to the ventilation of the roof timbers and attic space. With a FREE roofing survey from Taylor Roofs, we are able to quickly identify what the cause of your specific attic dampness and condensation is, and present solutions that will quickly resolve the issue for you. Dealing with condensation and dampness quickly is the key to ensuring the issue doesn’t spread and is often remedied with inexpensive, non-destructive solutions.